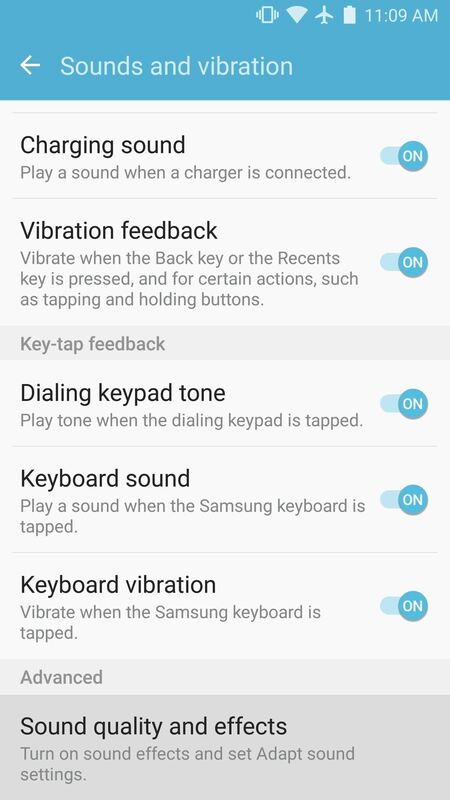 A lot of folks complain about the extra features Samsung adds to Android, but while there are some benefits to the slimmer stock Android, the TouchWiz firmware on Galaxy devices definitely has its own advantages. 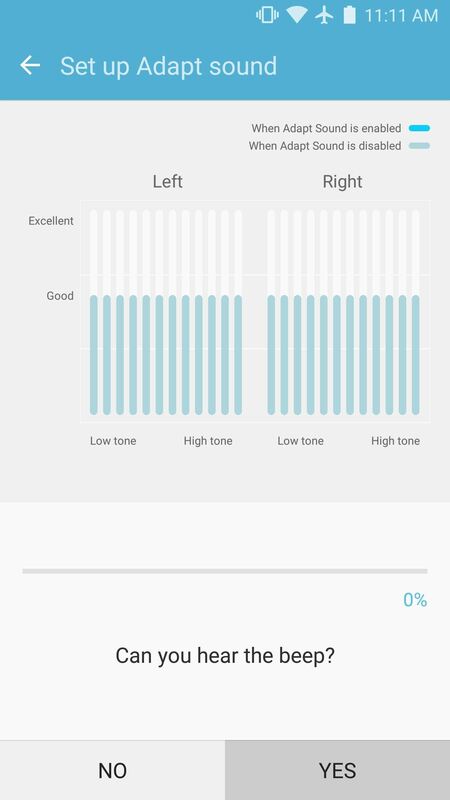 Your phone creates a personalized equalizer based on your actual hearing. 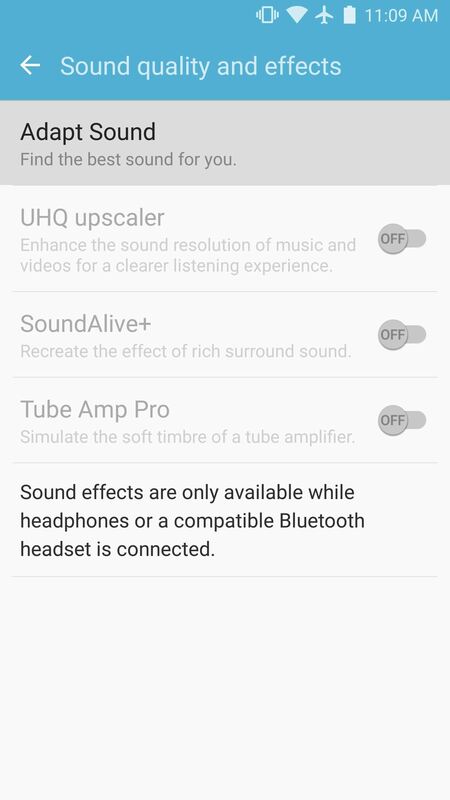 For instance, a relatively unknown feature called Adapt Sound allows Galaxy users to get some of the best sound quality on any mobile device. The feature essentially tests your hearing with a series of beeps, then uses the data it collects to create a personalized sound profile that it applies system-wide. It makes a huge difference in audio quality, and it only takes a minute or two, so I'll show you how it works below. Really, the only trick involved here is finding the Adapt Sound setting, because it's buried pretty deep. 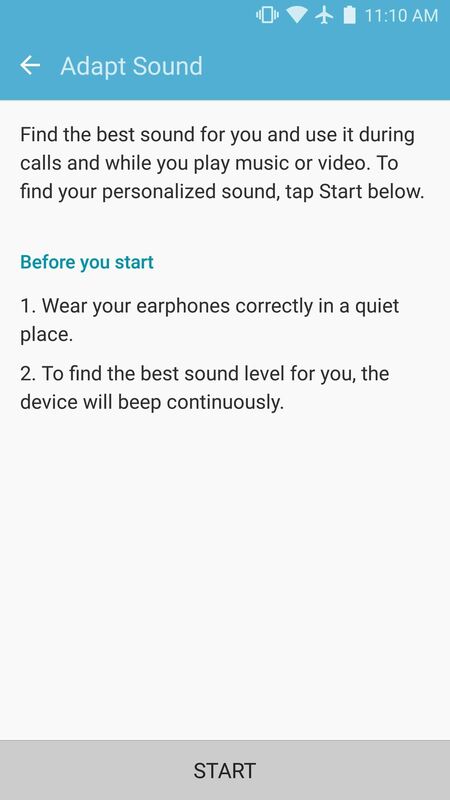 So start by heading to the "Sounds and vibration" menu in Settings, then select the "Sound quality and effects" option at the bottom of the menu. 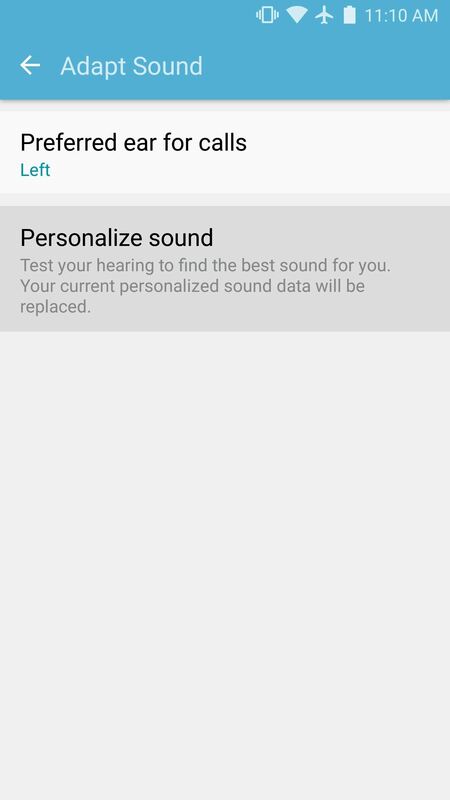 From here, choose "Adapt Sound," then select the "Personalized sound" entry on the following menu. At this point, the screen will prompt you to plug in a pair of headphones (either wired or Bluetooth), then find a quiet place. Once you've done that, press the "Start" button, then Adapt Sound will play a series of faint beeps in both of your ears at varying frequencies. After each frequency, Adapt Sound will ask if you can hear the beep. Answer honestly, of course, and as you go, you'll start to notice that your phone is creating a personalized equalizer profile for you. Just keep listening for the beeps and answering honestly, then the hearing test will be over within a minute or two. 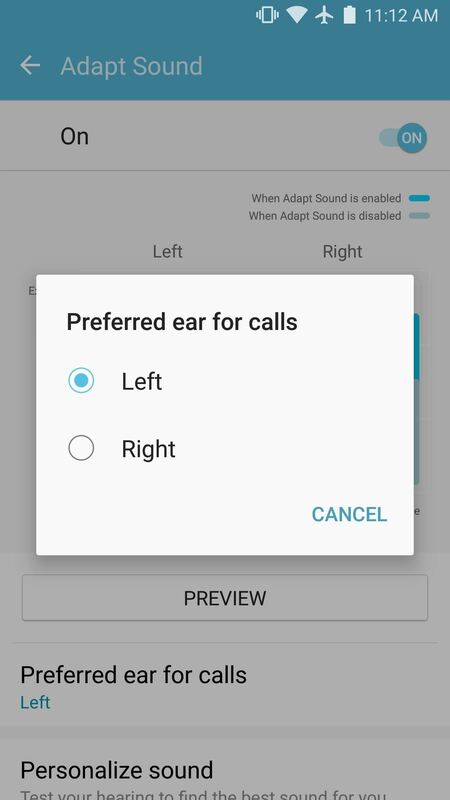 Immediately after the hearing test, Adapt Sound will ask which ear you prefer to use for phone calls. Once you've answered that question, your new personalized audio profile will be active system-wide. 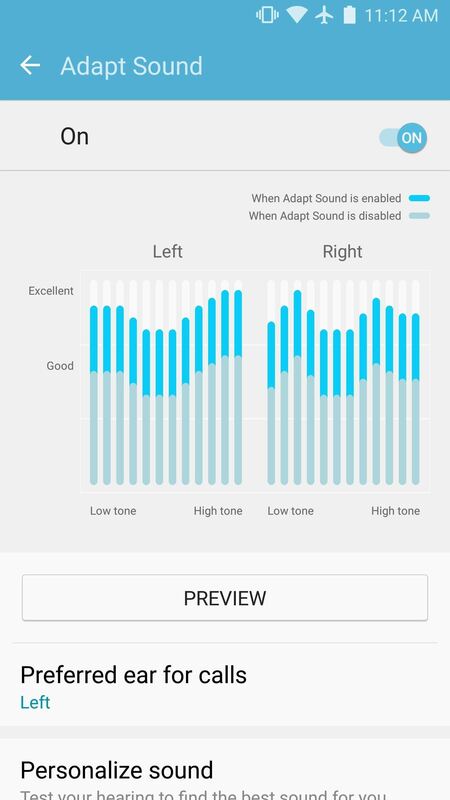 It really makes a huge difference, so if you'd like to hear for yourself, start playing your favorite song, then switch back to the Adapt Sound menu. From there, toggle the switch at the top of the screen on and off while still listening to the song, and you'll notice a world of difference. News: Just How Unbreakable Is the New Samsung Galaxy S5? Thanks. I saw this feature before but never used it since I was not in a quiet place. I forgot all about it until I saw your post. I can definitely hear the difference.